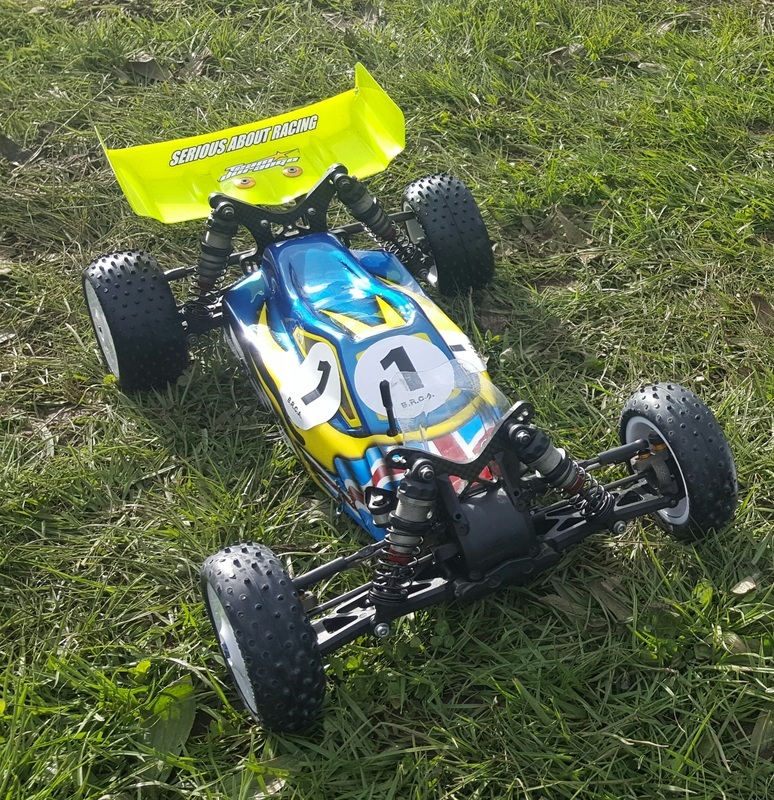 After the massive success of the TD2-4 project it was decided that Mr'O' Racing would transfer the design and theory behind the TD2-4 into a 4wd version. 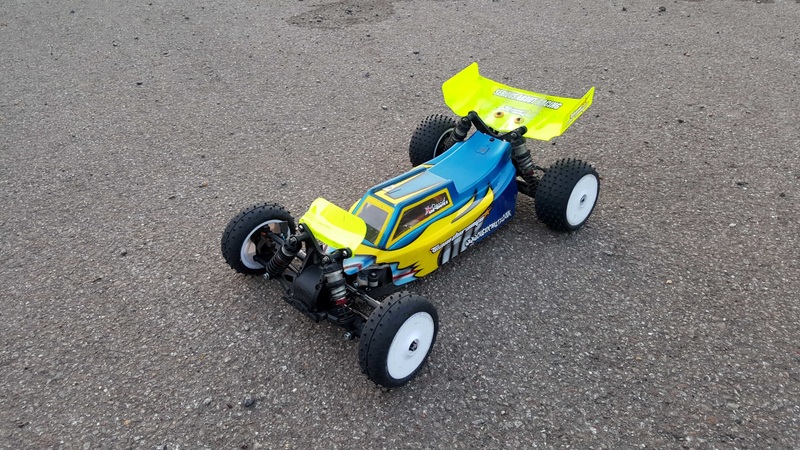 It uses the front and rear of the dex410 but with the front of the car heavily modified to improve the cars balance and grip. 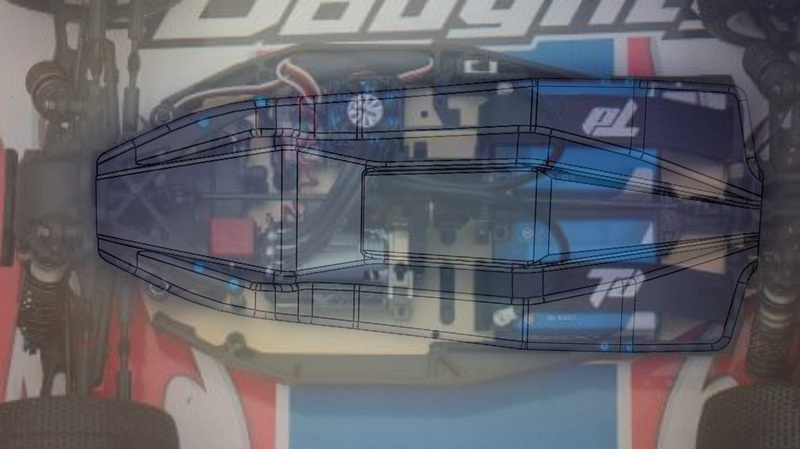 The td4-4 is just like the td2-4 and opens up new idears for 1/10th off road race cars. The main weight of the car in the centre of the chassis to minimise weight transfer from front to back and left to right. This allows the suspension to be softer and makes a very easy and stable car to drive on the limit. With the suspension being softer also allows the suspension to do its job and generate grip. The chassis can hold saddle pack battery (needs a diffrents battery brace) but is designed around a shorty pack. The chassis is a high grade aluminium and so are the side pods but they have a 3d printed covering also the battery brace is 3d printed as well. The td4-4 motor is used as a gyro and its nearest to the center of the car as possible and with the motor used in this way it allows the car to carries more speed and keeping the rear from stepping out. The faster the car is travelling the more stable it becomes. A 13deg angled steering rack so that there is zero bump steer. +15mm longer that a dex410. -30mm narrower than the new v5. A front brace that strengthens the front blockhead and transfers the load of a crash into the main chassis. An all round better balanced car.